It’s often said that eyes are the windows to a person’s soul but they are also our window onto the world. Except if you’re one of the many Australians who lose part or all of their vision every 65 minutes. Maintaining good eye health should be a priority for all. Drink plenty of water, even if you don’t feel thirsty. Everyone loves a holiday, but there’s no denying that packing can be stressful. We’d like to take some of that stress away, with our top beauty travel products, as curated by Jaki, our inspiring leader, and intrepid traveller. Twelve Days of Christmas at Berwick Pharmacy! Starting on the 13th December – when you spend $30 or more in store, you will receive an entry in our draw to win a luxurious hamper. A new hamper will be given away each day until Christmas Eve. A photo of each hamper will be posted on our facebook page each day, so don’t forget to check out which hamper is up for grabs each day. *T’s & C’s apply. See in store for details. Winners will be notified. We had lots of fun on Saturday, Berwick was jumping with excitement. 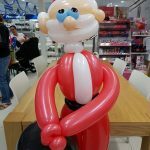 Plenty of bargains at Berwick Pharmacy and Con the Balloon Twister kept the kids entertained! The team at Berwick Pharmacy are thrilled to introduce you to INIKA, a certified organic, cruelty-free, certified Halal, vegan and ethically sourced and packaged makeup brand. What’s more, INIKA doesn’t compromise on quality or fashion, making it the best makeup brand for naturally stylish women. Can you sense our excitement yet? 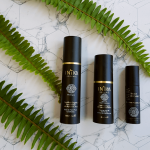 INIKA uses the finest Australian botanicals and minerals to produce makeup that performs brilliantly, while hydrating and nurturing your skin. The newest fragrance from Chloé is Chloe Fleur de Parfum and combines elegance and sensuality. Available online now from us at Kiana Beauty Melbourne .